4. Use a large font size. While using an 8-point font size will allow you to cram more information into a tight space, recognize that that is not your objective. Instead, your objective is to make sure your message can be read. Readers over the age of 40 will appreciate messages that use a font size of 12 points. If your target audience is elderly or seeing impaired, you might even want to go larger. In any case, you need to understand that, if your message strains a reader’s eyes, she’ll be less likely to actually read your wonderful, meticulously chosen words. 5. It’s not about you; it’s about your reader. Remember, it does not matter what you like or don’t like, can read or can’t read. When communicating with others, it’s about what is best for them. Focus on your audience, not just with your words but how you present your words. 6. Create a style manual. Your organization should create and maintain a style manual that outlines, among other things, what font style and size you can use and the policy regarding reverse type. Then, you can share the manual with staff and vendors who will be responsible for designing your organization’s communications. Now, I come back to Robin’s Tweet and why I have chosen to violate Rule #2. When I started blogging, I used a sans-serif font. 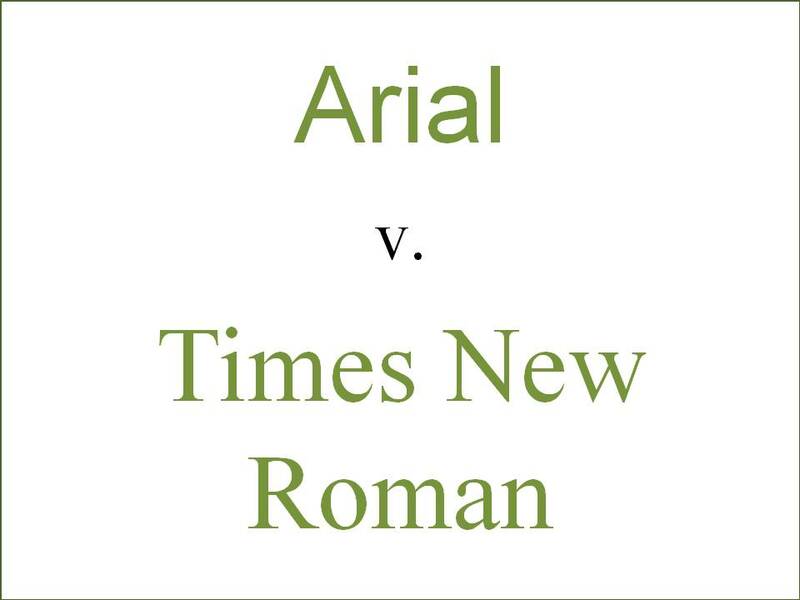 Along the way, I changed over to Times New Roman. My primary reason for the switch had to do entirely with me. I’m partially blind. Even those who know me personally will be surprised by this revelation because I’ve done a good job of adapting to my situation. One of the ways I adapt is to use serif fonts in all of my communications. I personally find it much easier to read serif fonts in both the print and electronic form given my particular vision problem. Since no one protested when I changed font styles, until now, I stuck with Times New Roman for my blog. 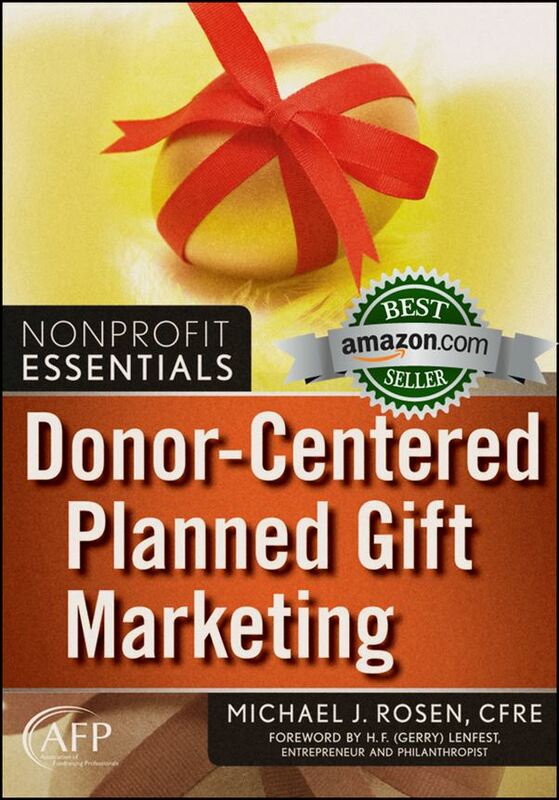 First, I’m a proponent of donor-centered fundraising. In other words, it’s not my comfort that should be paramount. I should be more concerned about what is easiest on my readers’ eyes. Adhering to Rule #5 is important. Second, in my blog posts, I always try to promote best practices. Because a sans-serif font for electronic communication is best practice, I should exhibit that on my blog pages. Therefore, with this post and moving forward, I will switch back to using a sans-serif font. I thank Robin for the nudge that has led me to the font change for my blog. I hope you find that it makes my posts easier for you to read. In addition, I hope you will keep my example in mind when communicating with your prospects and supporters. For a terrific infographic about font usage, click here. Michael, as always, an interesting read and very helpful in more ways than one. You enlightened me about the technical side and also about our human nature to chose first the thing with which we are most comfortable and then, if necessary, the thing that works best for most of the other folks. 🙂 Thanks. Gary, thank you for commenting. When our human nature conflicts with best practice, we’ll often find ourselves facing a professional challenge. The key is to be aware of and confront those situations in a way that benefits the organization’s supporters and, ultimately, the organization itself. Unfortunately, that’s not always easy. I appreciate your kind words. I’m glad to know this post resonated with you. I understand where Robin was coming from but really – HATE! Being constructive might have been more realistic. Lyn, thanks for sharing your thoughts. While Robin could have been more delicate and constructive, I won’t think too harshly of him. With only 140 characters in a Tweet, it’s easy to be misunderstood, especially when it comes to tone. His message serves as a reminder that we all need to be careful how we communicate with social media since it’s so easy to be misunderstood. This wasn’t the donor-centered Valentine I expected today, but it was very interesting and informative. Not being marketing major nor a real techie, it did teach me something important that I will consider in both, my blogging and my donor communications. I am also glad you didn’t act on your initial desire to respond to Robin with the “your loss” comment. I have far too many past coworkers and employers in the customer service industry that would have, and sadly, that is a pity. I hope you, and all of my readers, have a weekend full of Valentine’s love. Richard, the connection you thought you saw was actually right on target. Given the theme of my recent post about humor, I decided to go with a more humorous title for this post. Good catch! Personally, I prefer Sans Sarif for all of my work. Mostly because these days, many people read submissions and reports from their computers. I even use a Sans Sarif for our printed annual report. But I’ll think about changing that for next year. Davida, thanks for your comment. The challenge is to do what is best regardless of personal preference. Sadly, it’s not always easy. Fortunately, there’s a lot of good research that can help guide us when we confront professional challenges so that we can make informed decisions. When it comes to sans-serif vs. serif fonts, we need to consider the medium in which they will be used. As mentioned in the article, serif works better in print while sans-serif works better in electronic media. However, we need to do more than consider media. We also need to consider the target audience. For example, children and adults who are learning to read or who are semi-literate find sans-serif fonts easier to read in both print and electronic media. It’s all about what works best for the target audience. Who would have thunk that a post on fonts would be so fascinating. Great post, Michael. One of your best. Steve, thank you for your kind comment. It’s much appreciated. In fundraising, marketing, and stewardship, there is much we take for granted. Sometimes, it’s fun (or, at least, interesting) to spend a bit of time thinking about that which we usually don’t think about. Thanks, Michael, for raising this issue; it’s not one I had considered. At my age, most fonts tend to irritate my senses without me knowing why. Now I do. My next task is to contact my webmaster friend to fix http://www.p101.ca which is currently Times size 16, although it looks smaller. Gord, thank you for your comment. I’m glad you found this post interesting and useful. Thanks for an interesting post, Michael. I have also always used the general “serif off-line, sans online” rule. But lately, I’ve been reading that with far better resolution on most screens, that may be changing. And it will be interesting to see that evolution. My personal preference is serif – and I’ve spent years persuading people that it’s what they must use for mail. And as you point out, what I’ve had to combat there is a built-in personal preference. Usually some facts work there. And I completely agree about the point size. In fact, 12 might be too small – especially since so many people are reading on their phones. Even 12 pt on a phone is small! Most of the design-oriented people I’ve worked with cringe. But I’m less concerned about pretty and more concerned about effective. And anything your reader doesn’t read isn’t effective! As you say, it’s about them – not our personal preferences, not our design aesthetic. What’s easy to read has a much greater chance of being read. Mary, thank you for sharing your insights. As technology changes, we should revisit the issue. However, I’m not sure we’re there yet. What’s uncertain is how many dots per inch are necessary to make a serif font an acceptable or preferred option. Print media generally has a resolution of at least 1,000 dots per inch. By contrast, the typical computer screen has a resolution of 100 dots per inch. Even Apple’s super-high resolution retina display has only about 300 dots per inch. So, there’s still a vast difference between print and electronic when it comes to resolution. I applaud you for sticking to your guns with your designers. You’re correct. If it doesn’t work, it doesn’t matter how pretty it is. UPDATE: A few hours after posting the above comment, I read an article about the soon-to-be-released Samsung Galaxy S5 smartphone. It is rumored to have a screen resolution of 560 dots per inch! If true, that resolution will be substantially better than even Apple’s retina display. So, we might quickly find ourselves in an environment that challenges the current thinking about font usage in electronic media. Yup. I think the takeaway is not to relax into the “rules”, but to stay on top of the new technology and what that means. Mary, you’ve come up with a great rule to live by! Those that don’t evolve are destined for extinction. Glad you liked the post. Great post! I’m changing my default email font size to be a bit larger right this minute – so that my donors can read my messages more easily!